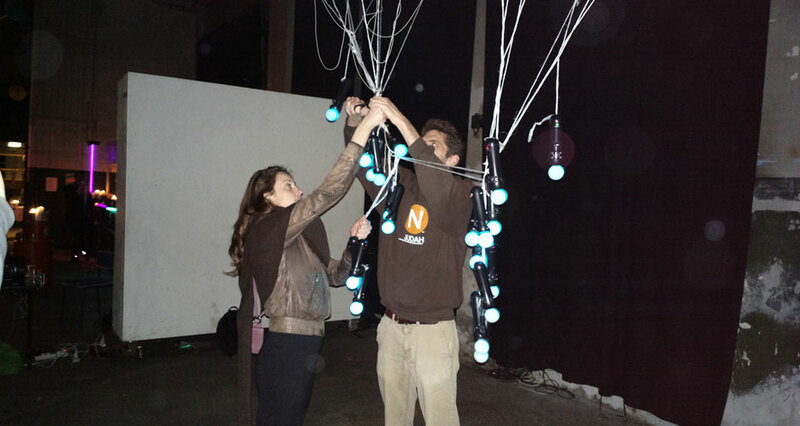 A four-player physical game played in a jungle of 20 colorful LED lights / controllers that hang from the ceiling! Tarzan your way around the jungle from controller to controller, using your body to block your competitors. Featuring ridiculous interactive jungle soundtrack by David Kanaga. Adam Henriksson is a Swedish designer currently prototyping experiences for Philips Design in the Netherlands. He holds a BFA in Industrial Design and is pursuing a MFA of Interaction Design at Umeå Institute of Design. 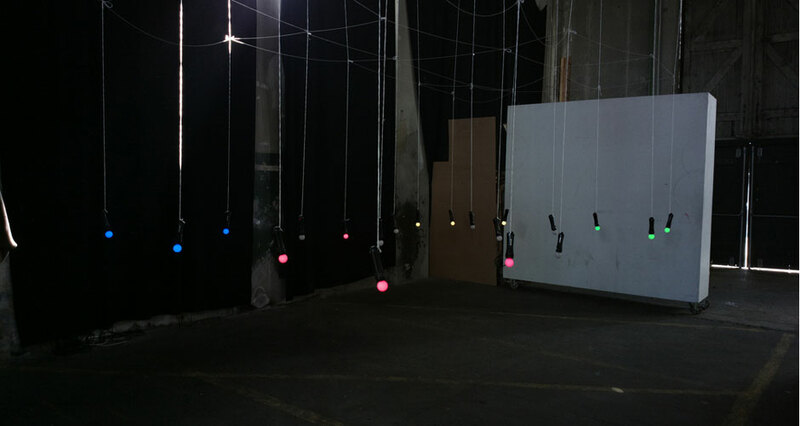 His work stretches across different interactive media with the consistent theme of collaborative efforts. David Kanaga is an improviser/musician based in Oakland, California. He has designed music spaces for Proteus, Dyad, and other videogames. Now he is playing new design fictions. His work has been shown at MoMA and has received numerous awards. Thomas Perl has a MSc in Computer Science and has developed open source software such as gPodder and PS Move API since 2005 and mobile apps and games since 2008. He usually likes working with C++, Python and web technologies. Douglas Wilson is a lead game designer and partner at Die Gute Fabrik, a small games studio based in Copenhagen, Denmark and New York City. He is currently working on a number of game projects including Johann Sebastian Joust, Sportsfriends, and Mutazione. Doug recently finished a PhD dissertation at IT University of Copenhagen, where he wrote about designing games that embrace an aesthetic of confrontation, silliness, and brokenness. His work has been shown around the world, in venues such as the Independent Games Festival, IndieCade, SFMOMA, and the Museum of Modern Art.